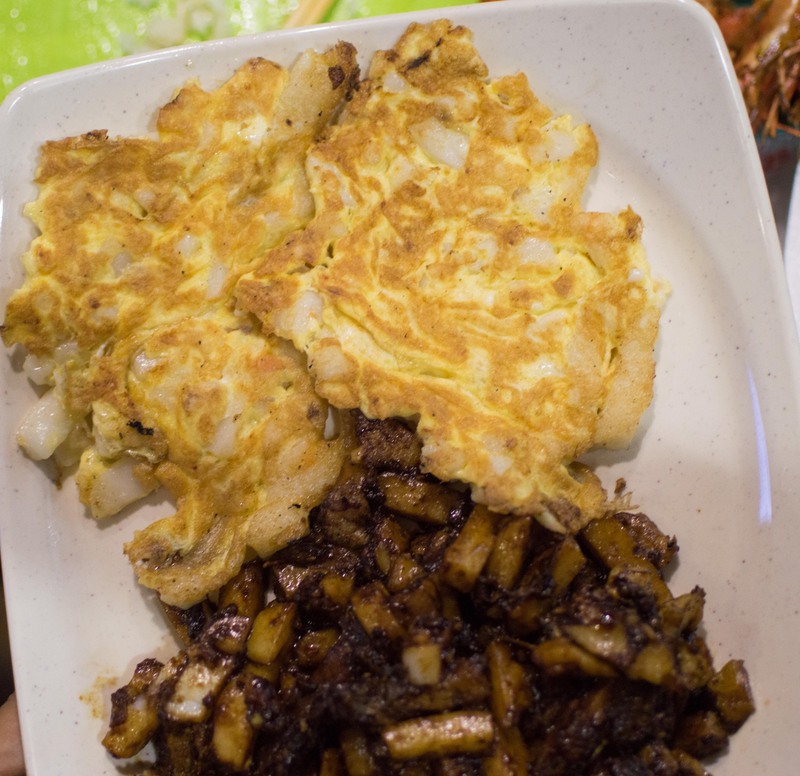 Top 11 things to eat in Singapore - CHOMP! SLURRP! BURP! Singapore – the tiniest possible city- country, with the fanciest Michelin Star restaurants and rooftop bars with drop dead gorgeous views on the city. However famed for its innumerable hawker centers, where you can find the best, honest, no-frills food. 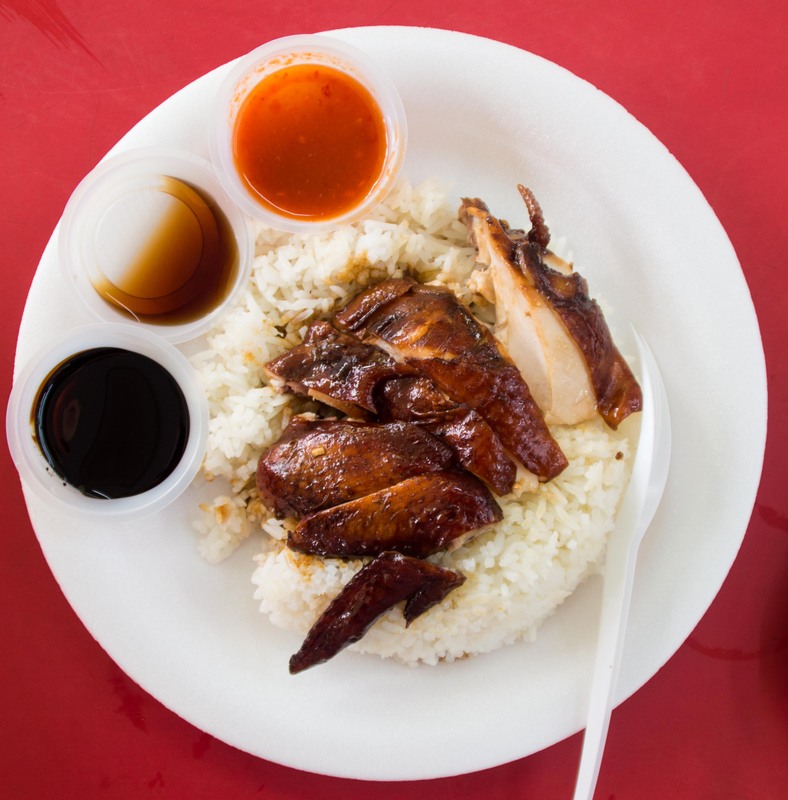 From thirst-quenching fresh fruits to sugar cane juice and the best chicken rice, the hawker centers have it all. 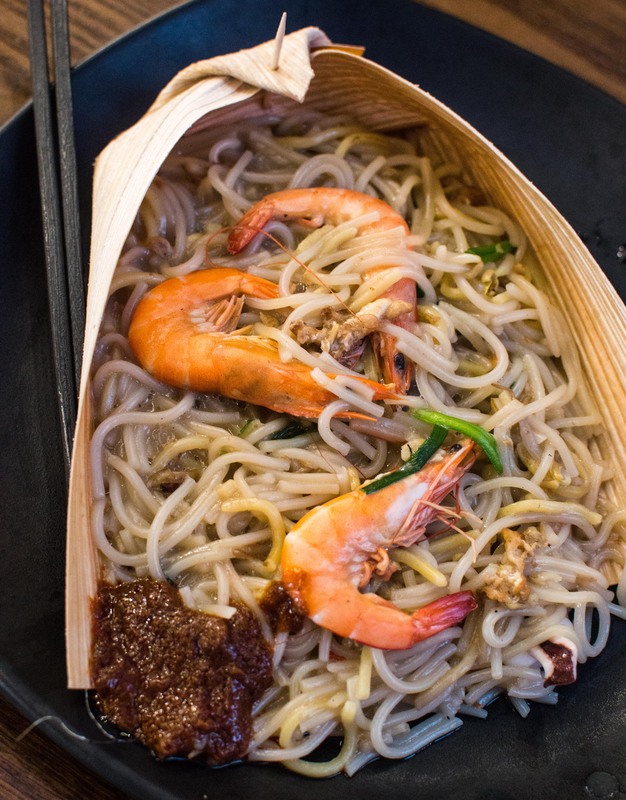 Read on to check out the best things you must eat when in Singapore. 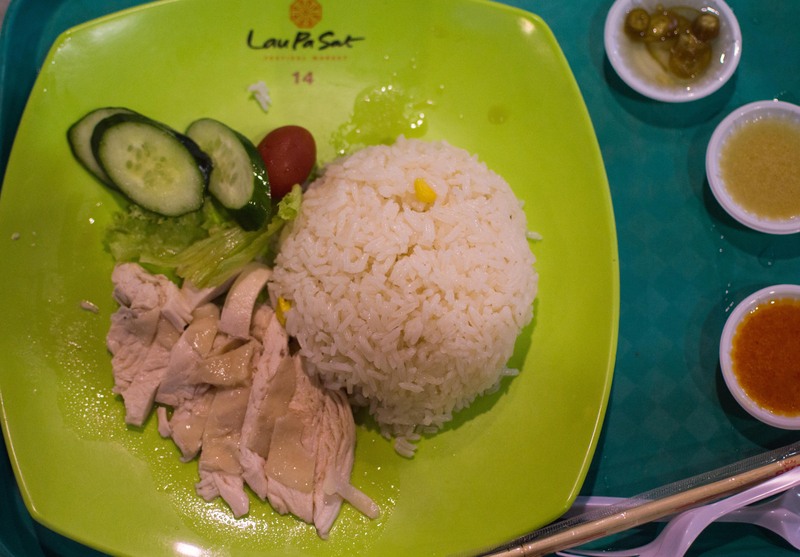 One of the most satisfying meals – rice cooked in chicken stock, with a side of either steamed chicken or steamed chicken with sticky soy sauce. Absolutely healthy, the soy chicken is much more flavorsome, the best part, however, is the rice cooked in stock. Team with your favorite sauces – try the ginger sauce, more soy, and oyster sauce. Soupy noodles, prawns, and coconut curry, what’s not to love? 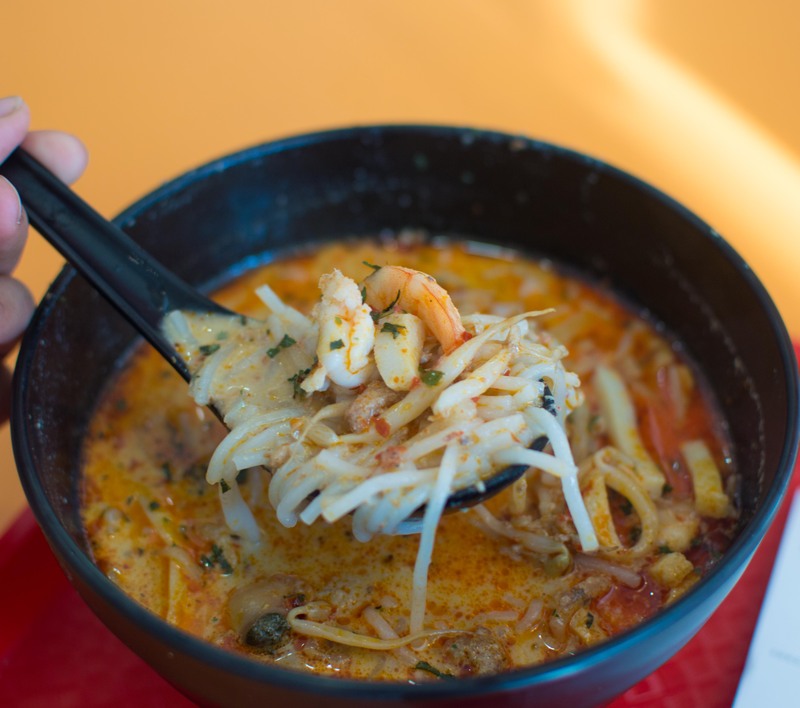 Noodles, prawns, occasional addition of oysters and egg, Laksa is a cross between Malay and Chinese cuisine. Cooked in coconut milk, with really huge and juicy sprouts (have not seen these anywhere back home) and lots of chilly. Also tried Laksa without prawns and with tofu and some bread as well, and loved it even more. Stir-fried noodles seasoned with soy sauce, chilly and vinegar, topped with prawns and chilly sauce by the side. This semi gravy noodle dish is most hearty and packs a real punch with the garlic, chilly sauce on the side. De-shell the fresh prawns for this meatilicious affair. Despite having so many Hawker Centers, there are no hawkers on the street, except for Satay Street. Every evening at 7 PM the street next to Lau Pa Sat shuts down to give way to Satay Street. Hawkers come in every day to put up their stalls for some tantalizing Satay. Chicken, mutton, and prawn satay combos with sticky rice cake and the most delicious peanut sauce. Absolutely loved the slightly sweet grilled meats. Best washed down with sugarcane juice. One of the most deceptive dishes ever, since you can find no hints of carrots or cake here. An omelette stuffed with steamed, fresh radish cubes giving it a very meaty texture. Carrot cake comes in two flavors, a classic one and one tossed with a lot of black soy. Quite an interesting take on carrot cake, top it with some sauces and you are good to go. 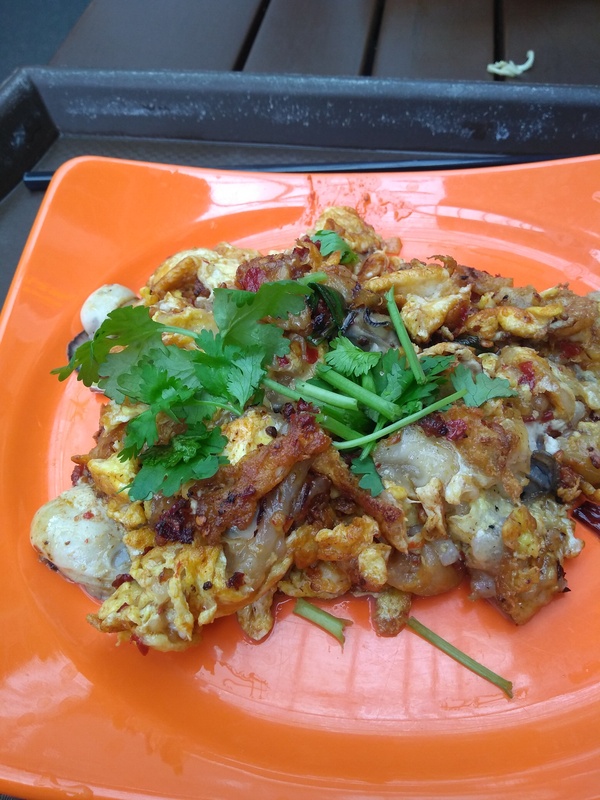 Another one of the delicacies of Singapore, fried oysters with eggs and a lot of chilies. On a bed of whole eggs, scrambled egg, fresh oyster, garlic, chilies and topped with fresh coriander. Although I personally did not like the texture of oysters, since it was my first time trying the seafood, oyster lovers must try it. Although there are some pretty neat places serving dumplings back home, these were precious. Juicy meat, thin skin, perfectly balanced spices and perfectly steamed, teamed with a chilly oil sauce. 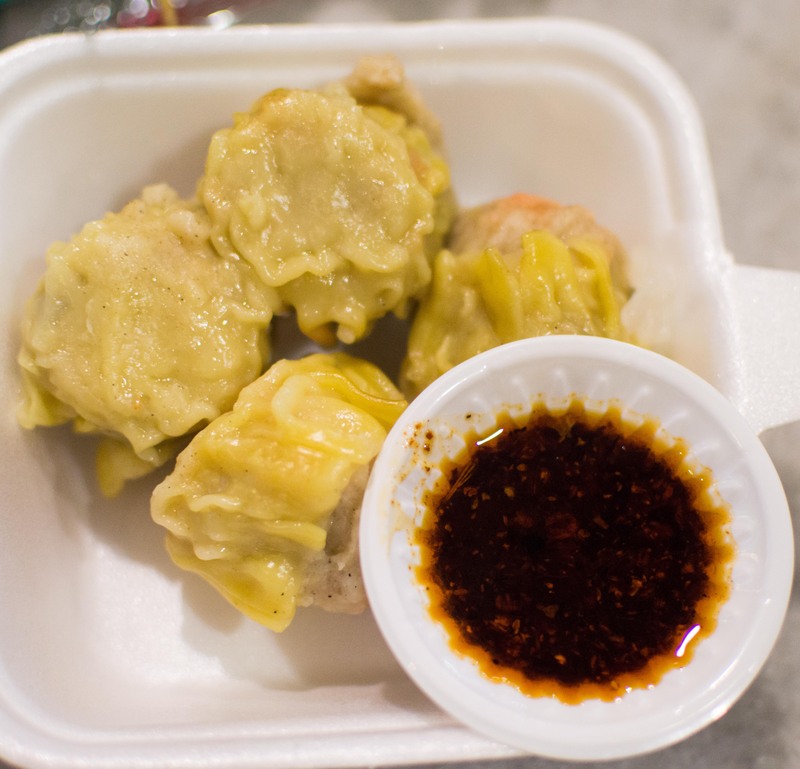 I tried these at Lau Pa Sat, and the pork ones were so thinly minced that it didn’t feel like pork at all. 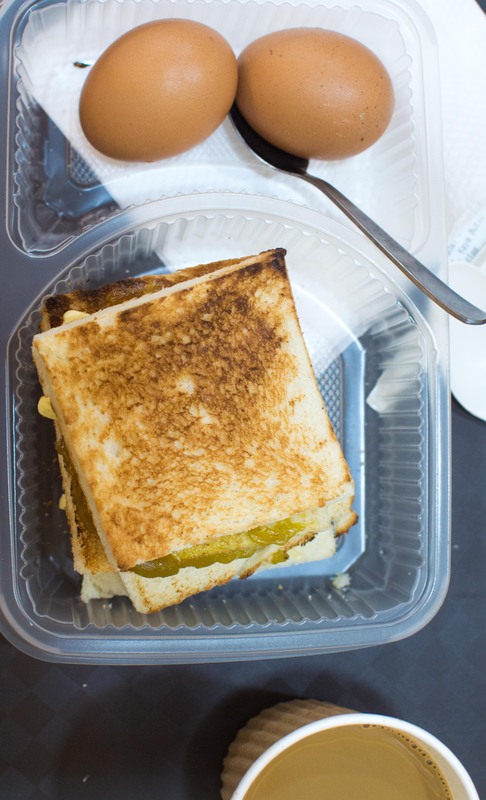 One of the most popular breakfasts of Singapore – crust cut toast, a thick (like quarter of an inch thick) layer of butter, kaya jam (tasted something like coconut and figs) served with soft boiled eggs and choice of coffee or tea. Fans of baraf ka gola back at home, this is especially for you. Finely crushed ice, topped with your favourite flavours and tapioca seeds. 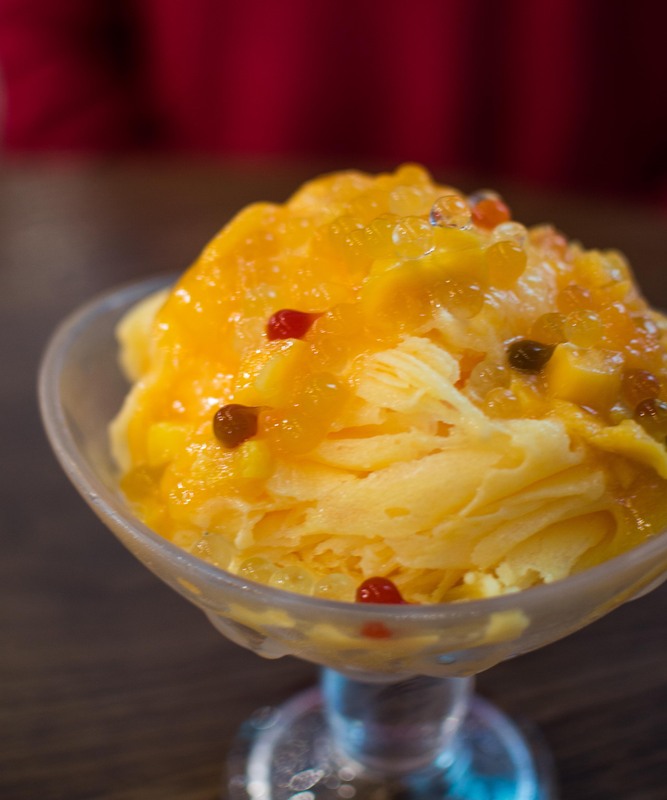 Also, don’t forget to try the Mango Sago, crushed mango slush, topped with fresh mango puree, mango chunks and more tapioca. Perfect summer desserts. Ice Kachang is available at any dessert stall in food courts. 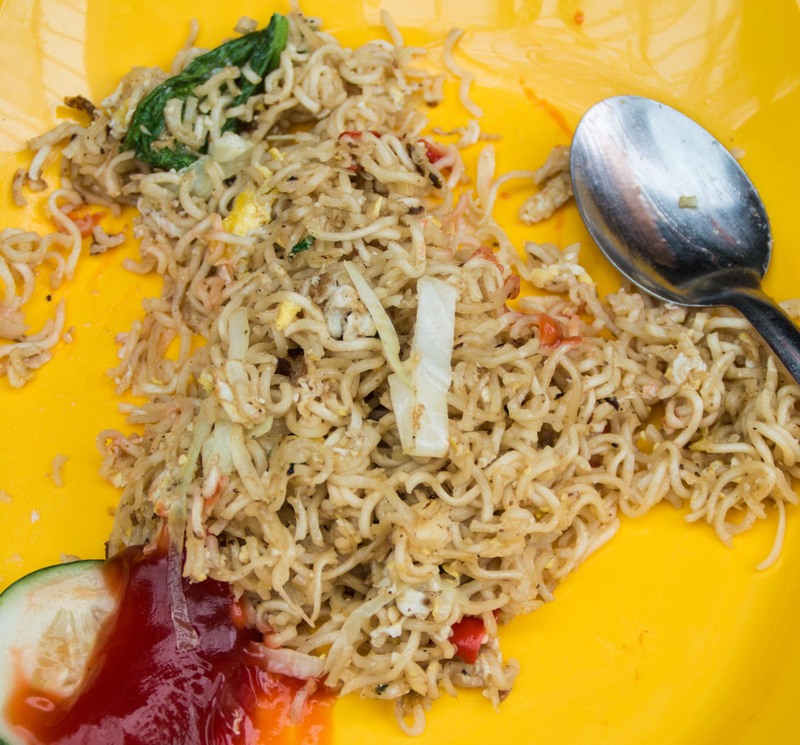 Most popular in Malaysia, maggi goreng is basically fried maggi and one of the most delectable vegetarian options available. Stir-fried maggi with vegetables and eggs, is sure to tantalize your taste buds giving this classic home food. 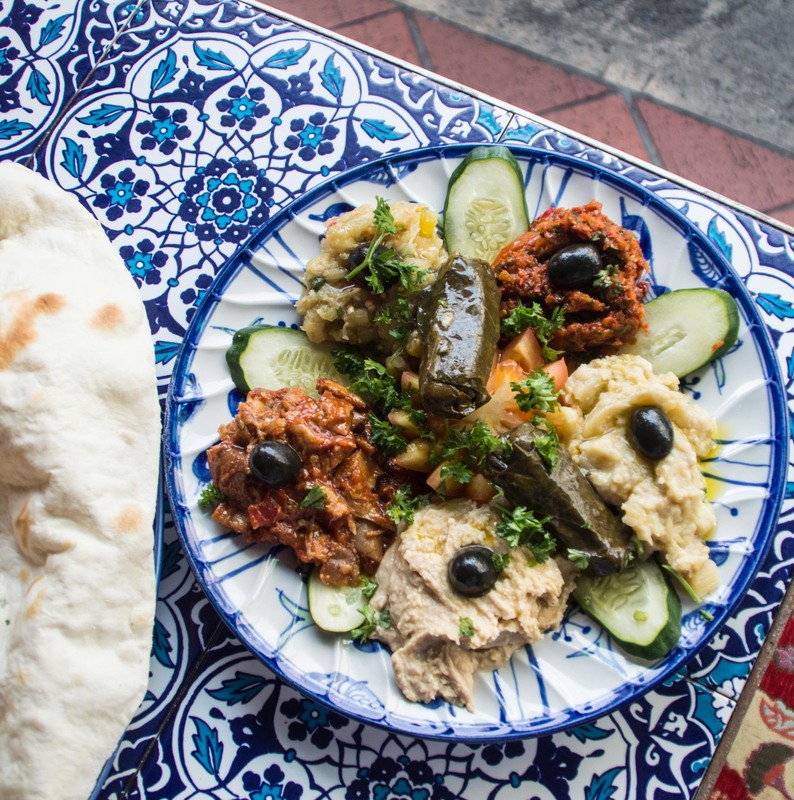 Apart from all the excellent Asian delicacies, visit Haji lane for some mind-boggling Turkish food. Tried a fresh Mezze platter with Lavaash bread, excellent hummus but what I loved most was baba ghanoush, a dip Delhi restaurants have failed miserably to get right. Also found the steamed rice rolls quite interesting and ah, the fresh olives. Honorable mentions include sugarcane juice, fresh fruits everywhere you go (best thirst quenchers) 100 plus energy water and Malaysian food street at Sentosa Island.